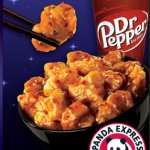 The vote’s are in and it looks like Orange Chicken was the most popular entree, so it will be free at participating Panda Express locations on Friday, 6/24. 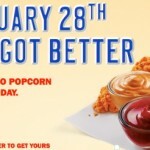 Here’s the catch: the freebie is only available after 9 p.m. 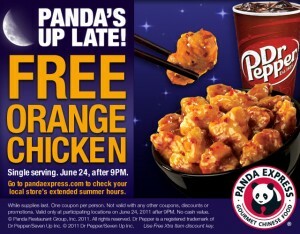 If you’re prone to late night cravings for orange chicken, make sure you print your coupon here to grab some for free. 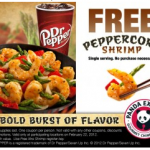 Panda Express FREE Orange Chicken Tonight! 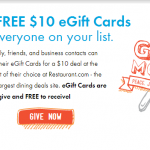 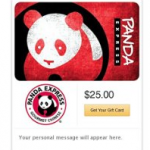 Panda Express Gift Card Deal & Coupon Codes!! 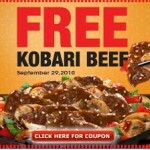 Get FREE Kobari beef at Panda Express today!